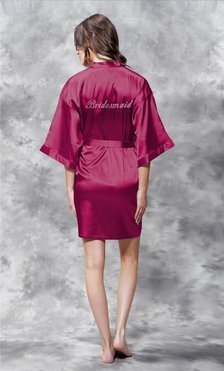 Envelope yourself in this luxurious silky satin robe. This elegant kimono robe is designed to provide trendy comfort and style. The light and soft satin adds a chic light layer over nightwear. Rhinestone embellished robes make a quality gift for your mother!